Mix all the mustard ingredients and set aside. Chop the sausages into 8 rounds each, cutting the ends off so that each round is nice and even. Cook in a nonstick pan to brown on all sides. Remove from heat and push a pretzel stick into each sausage round. Arrange on a platter with the mustard on the side for dipping. 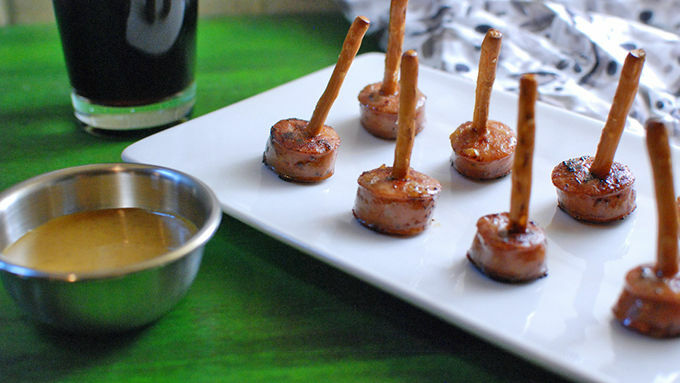 This appetizer is entirely edible and served with a sweet and savory Guinness mustard sauce. Anytime a vessel or serving utensil is replaced with food I consider it a huge party win. Edible bowls and cups are great, but I had never considered the edible toothpick before! 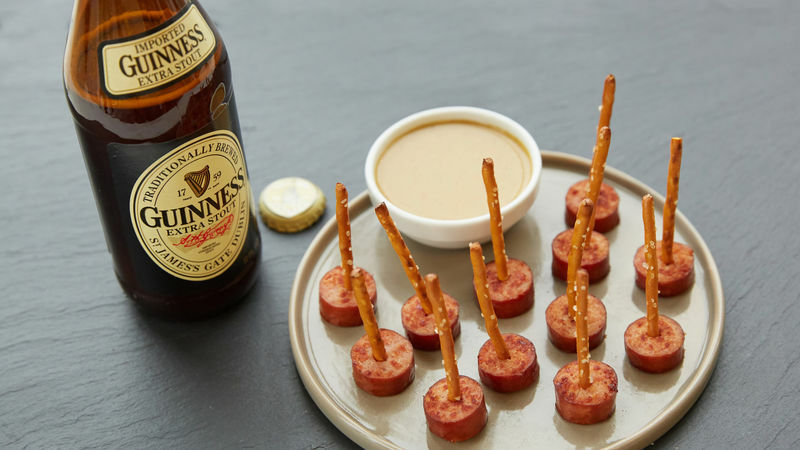 Using pretzel sticks works great when you're serving something that goes perfectly with pretzels, like this smoked turkey sausage. 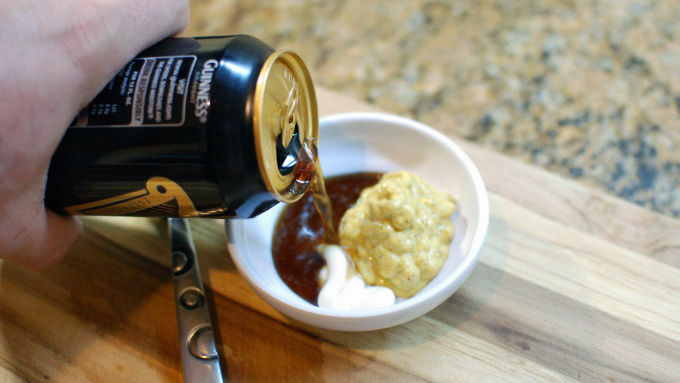 Making a quick stout mustard for dipping is what really brought this simple party app from good to great. The sweet and savory dipping sauce complimented both the pretzels and the sausage and had that nice creamy flavor from the dark beer. This is a fancy-looking app that's really easy to make and will please a crowd! Smokey, sweet, salty, and tangy – just what you want in one bite of food.